And stay tuned for the rest of my reviews of the "Blends Have More Fun" trio! I moved into my new house last year, in the dead end of the dog days of summer. It was far too hot to enjoy my backyard but now that spring is here and it's 76 and sunny, I'm trying to spend at least a couple hours every day out here. And many, many hours on Sundays. 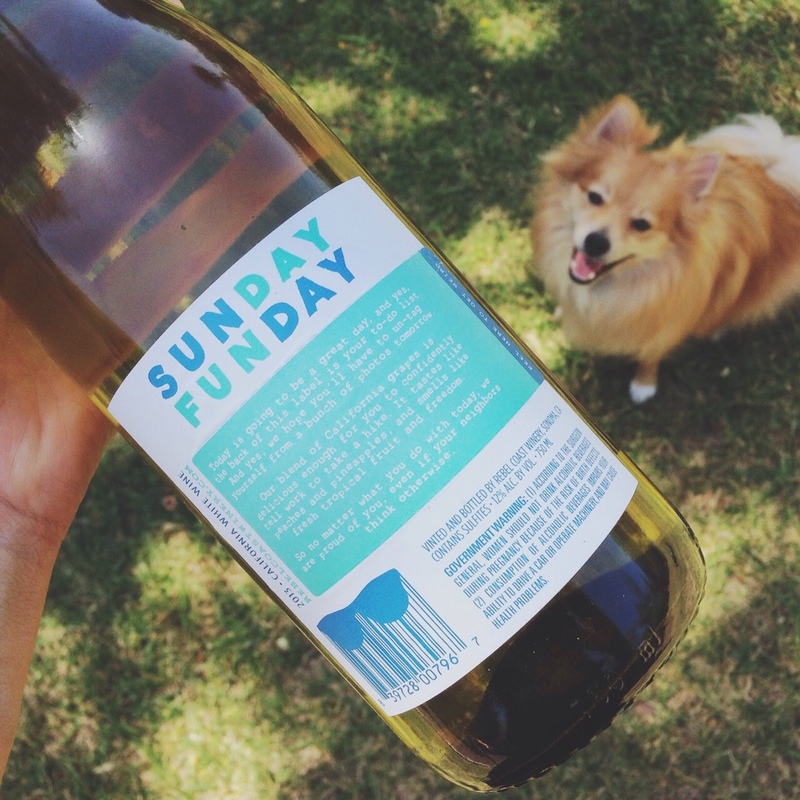 So this bottle of Sunday Funday defintely spoke to me when I opened up my "Blends Have More Fun" trio from Sip! Wines. Sip! 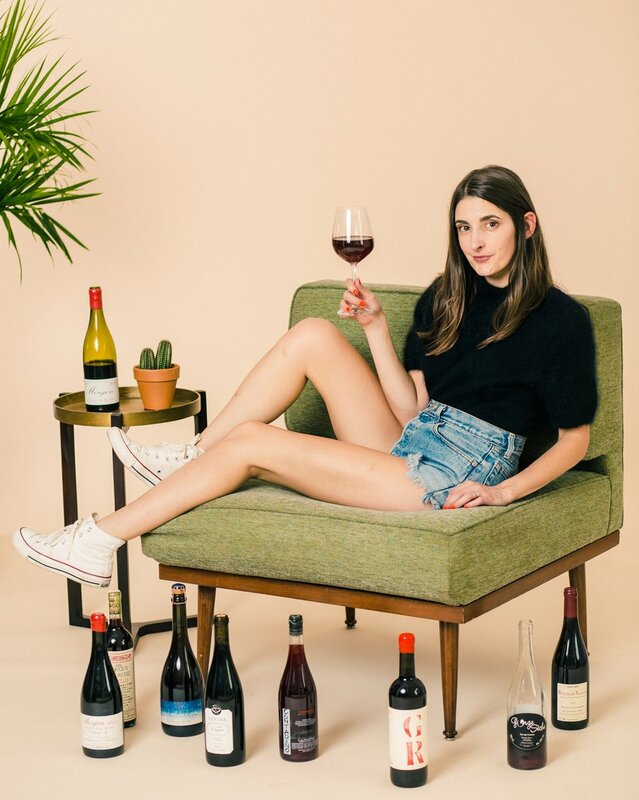 Wines curates different trios of wine, all with fun, clever themes like "California Coast Road Trip", "Everything Is Coming Up Rosé" and "Play Your Chards Right". The trios are shipped straight to your door-- or your hotel if you have a trip coming up-- and are equipped with tasting notes, pairing ideas and information on the wineries. It's pretty sweet, and I'm super stoked to have three new blends to try. Which wins best label designs. First of all, the front side has everything illustrated that I love on it (besides my pets and my boyfriend and my sister and my Adidas Boosts). Then the back is basically a pass to do whatever you want to do with your day because the boys at Rebel Coast are proud of you, "even if your neighbors think otherwise". THEN you can PEEL OFF THAT LABEL and you HAVE A FUNNY TO-DO LIST! This would be the best gift wine ever just because the label is so fun. Take it to a picnic or a girls' night and complete the To-Do list! For me! Because I only have one ex from high school and he stalked me so I can't ever send him a selfie or even a pleasant "Hope you're well! ", and the only public fountain near me is literally surrounded by punk vagrants, and my mom isn't on Facebook. The Sunday Funday has a stainless steel Chardonnay base, with Sauvignon Blanc and Viognier. I'm not a huge Chardonnay fan, and this tastes mostly like Chardonnay, but the good kind of Chardonnay. It's not buttery or oaky (RE: stainless steel tanks bro), just straight up tropical notes. Lovers of fruitier white wines, this is for you. It's easy drinking with subtle complexity, so you can have a conversation about the palate or just drink the hell out of it. Chardonnay, Sauvignon Blanc and Viognier are all considered very middle ground in terms of dry to sweet wines. If you're a fan of Moscatos and sweet Rieslings, this would be a fantastic bridge wine into new, drier varietals because it's really not that dry, and it's very juicy. My sister-in-law who I had to nearly fist fight to drink a Pinot Grigio would really love this. Give it a little time to open up and the fruit flavors become much more cohesive and smooth. Also a huge benefit of this wine is that I think it tastes better between cold and room temperature. For my personal taste, this wine had a little too much fruit and viscosity on its own to just chug in the sun. But an added ice cube and a bag of Rusty's Island Potato Chips made it a perfect picnic for ONE. AKA ME. AKA ME RIGHT NOW. AKA ME FOR THE NEXT THIRTY SUNDAYS. Tasting Notes: Smells like Viognier, tastes like Chardonnay and finishes like a Sauvignon Blanc-- Peach blossoms on the nose, pulpy Pineapple and Gala apples on the palate with a citrus melon musk finish. Very well balanced. I see this being a crowd pleaser at any weekend gathering. Posted on April 19, 2015 by Marissa A. Ross and tagged Sip! Wines Rebel Coast Sunday Funday white wine white blend chardonnay sauvignon blanc viognier sonoma california wine rebel coast sunday funday.